iSkysoft Phone Transfer allows you to one click transfer data from phone to phone, safe and risk-free. 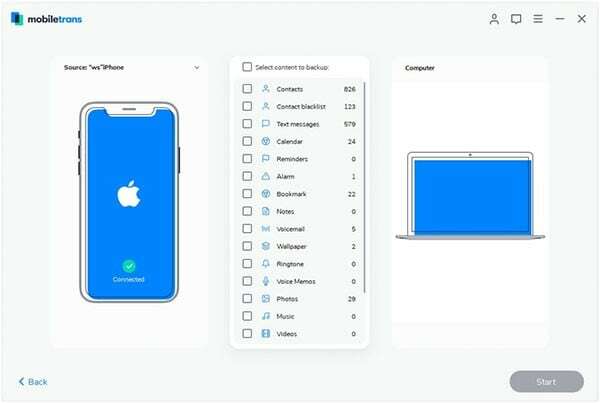 You also can backup your phone data or restore phone data from iCloud/iTunes backup. In the “Phone to Phone Transfer” tab, click Start to go to the transfer window. Then use USB cables to connect your two devices (iOS, Android, or Symbian devices) to the computer. 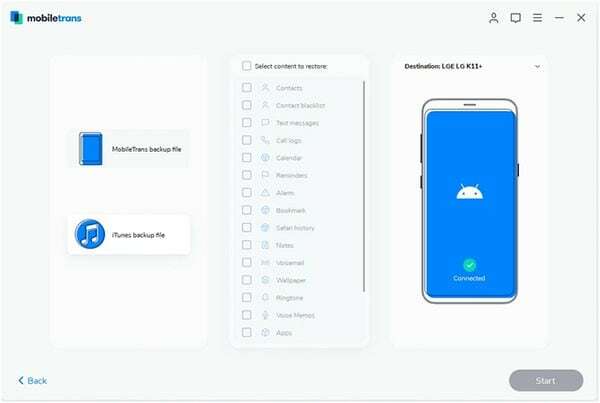 When the devices are connected successfully, it will start scan your source device and show the information as below picture. Now check the data like Contacts, Photos, Text Message, and more you want and click “Start Copy” to process the phone to phone transfer. Note: You cannot transfer Calendars to and from Nokia (Symbian) phone. First connect your phone to your computer with USB cable. Launch iSkysoft Phone Transfer and click “Back UP Your Phone” to open the backup window. 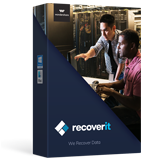 Now select the data you want to backup and click “Start Copy”. 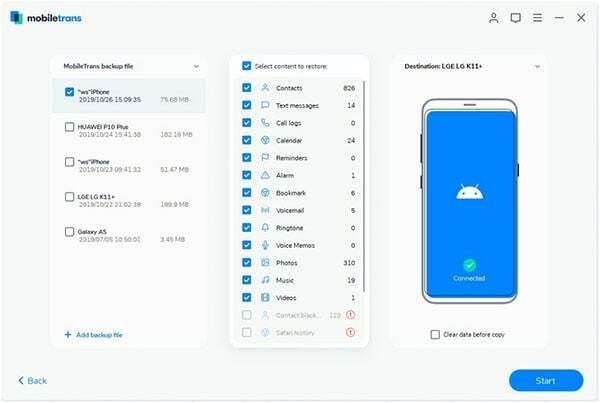 iSkysoft Phone Transfer will start back up your phone to your computer with the data you have selected. 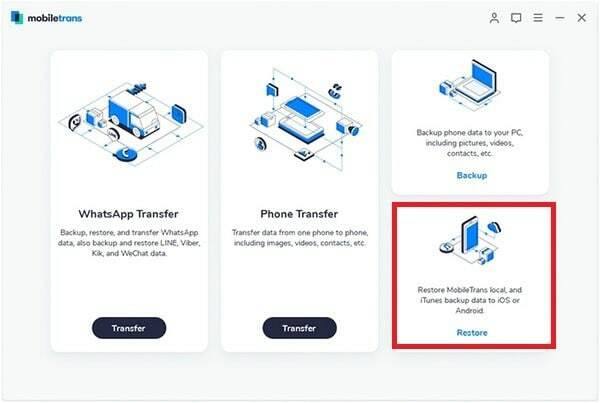 After connecting your phone to computer, launch iSkysoft Phone Transfer and click the “Restore from Backup” tab. Then select the backup file option. 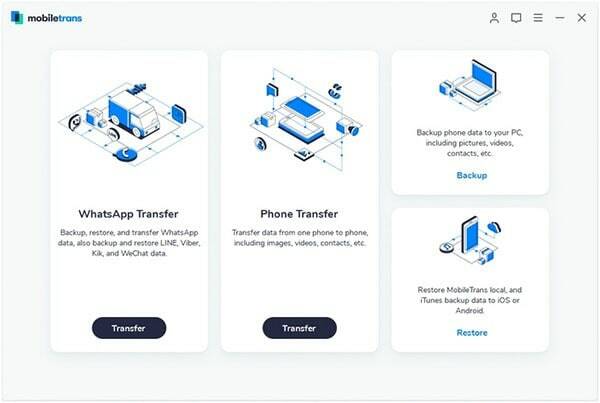 iSkysoft Phone Transfer now support restoring phone data from phone transfer backup file, iCloud backup file, iTunes backup file, BlackBerry backup files, Samsung Kies. Note: Only support BlackBerry® Desktop Software V7.0, V7.1. and BlackBerry phones running OS 7.1 and easier versions. 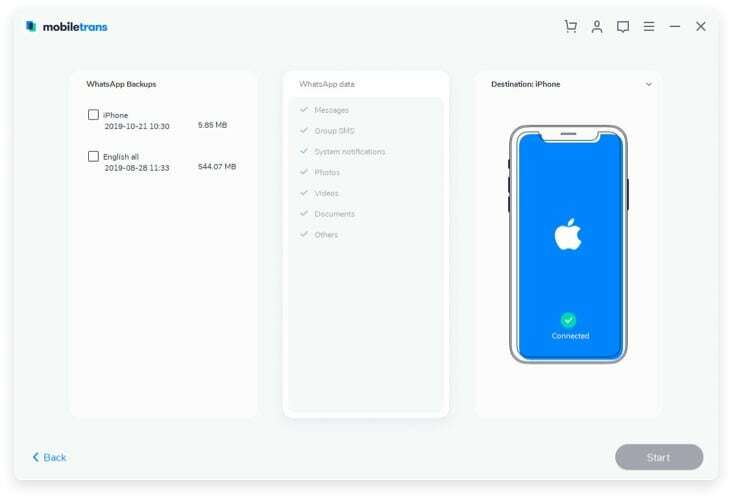 This phone transfer tool allows you to retrieve phone backup for iPhone, Android phone and others. Select “Phone Transfer” in the restore tab and then choose the content to restore. Last, click “Start Copy” to restore phone data from backup. You can also restore phone from iCloud backup. Click the “iCloud” icon to go into restore from iCloud backup mode. And input your Apple ID to log in. Now select iCloud backup file from the list and download iCloud backup. After that, select content to restore and click “Start Copy” to start restore. Note: Restore from iCloud to Android function only supports source iDevice with iOS 6, iOS 7, iOS 8, iTunes 11.3 and target Android phone with 4.2 & later versions. If you want to restore from iTunes backup, click the “iTunes” icon. And then check the contents to copy. And click “Start Copy” to transfer data from iTunes backup to your target device.